Whether participants are mainstream, special needs or specialist, we deliver fun, interactive and culturally diverse workshops. Participants use their creative energy to play drums, dance and sing, as well as learn a few African greetings and sayings. They learn about aspects of town and village life as they hear stories told by members of UBUNTU Africa whilst wearing traditional dress. Interactive drumming is based around traditional beats. We can also present large scale demonstrations just for the sheer wow factor and sound of the drums. This is African drumming at its best. Uganda and Kenya are lands of rivers and mountains, tropical rainforests and magical creatures. We bring you a cameo of everyday life in creative ways. We cater to all ages and group sizes. Schools, community choirs and corporate team building gigs are some of our favourites. Our workshops introduce positive views of Africa and challenge stereotypes - sharing the diversity of the continent. We aim to inspire, educate and entertain! The workshops are unifying and fully inclusive, adapting to the differing abilities of those within the group. Workshops are one hour in length and cost $1000. If your choir loves African songs and enjoys challenging itself, then this masterclass is for you. Learn a traditional song from renowned African performers and singers, UBUNTU Africa. Sheet music, learning tracks and videos of simple choreography are sent to your choir as soon as you register or within 6 months of the masterclass. There are three songs to choose from. Please choose one. 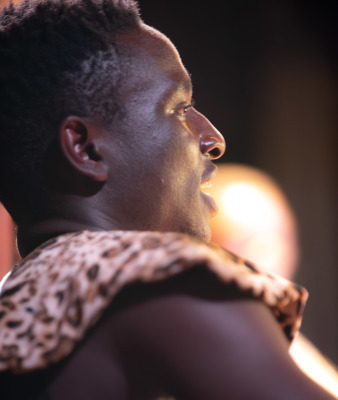 During the masterclass members from Ubuntu Africa work with you to refine the song to be sung in the traditional African way enabling participants to freely engage their senses and be present in the music. Sessions are one and a half hours in length and, if choirs come prepared, they are typically able to reach a high performance standard by the end of the masterclass. There is a part for every participant to sing regardless of ability. 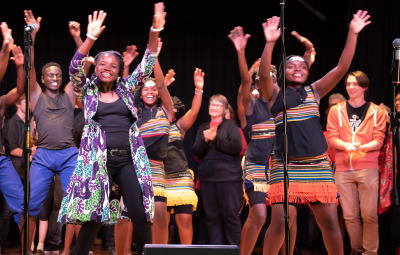 There may be an opportunity to sing the piece on stage with Ubuntu Africa. This depends on whether the concert in your area coincides with the timing of our schedule. 100% of proceeds go towards the education of vulnerable children through the African Children's Choir program. 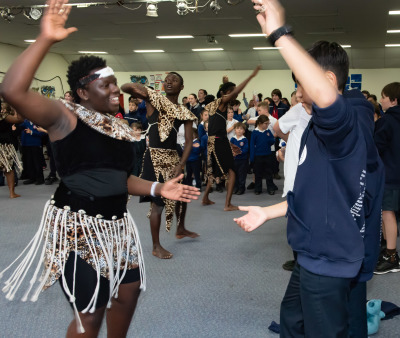 With an impressive record of already helping over 54,000 children to become future leaders in their communities, you can be sure your invovement will make a difference. .
​"The UBUNTU ​​workshops we have had in Toowoomba have been a blast! Members of the public of all ages were encouraged to participate by the enthusiasm and skills of the young performers. It was done in such a way that nobody felt awkward or excluded. The atmosphere of joy and sense of achievement was palpable. I can't recommend it highly enough. Our choir also hosted UBUNTU masterclasses on each of their visits. The choices of songs available mean any choir, any type, size and age group can be assured of a fantastic learning session on the day. 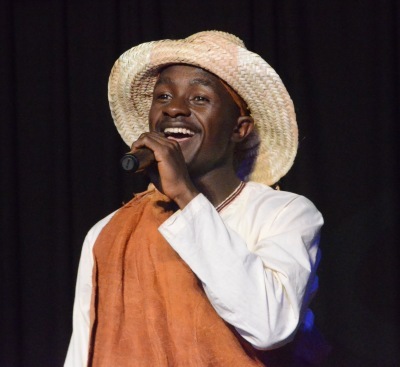 They are then geared with an authentic performance piece stylistically correct and imbued with a flavour that can be taught only by members of the culture from which it came. An experience to remember and a unique resource for any choir's repertoire." 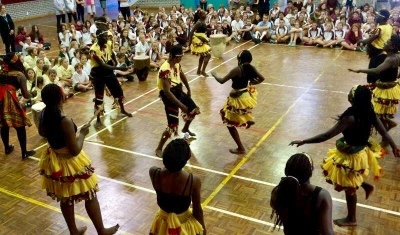 "Our school has hosted KwaYa Australia a number of times and one of the highlights for our students is the ​​workshop! 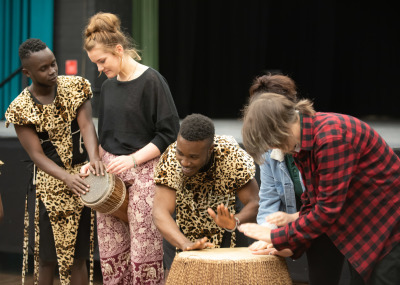 This hands-on session involving drumming and dancing is a fantastic opportunity for students to gain a better understanding of the African Culture. It is such a wonderful cultural exchange and a ‘must do’ experience that I whole heartedly recommend. Hosting a masterclass with UBUNTU is a once in a life time opportunity to work closely with these extremely talented and inspirational young Africans. Spending valuable time singing and dancing with UBUNTU Africa is uplifting and I’d say life changing. Don’t miss out, book a masterclass now!" 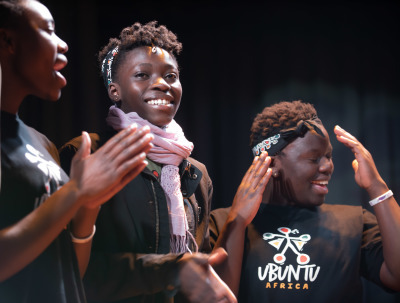 One of the most uplifting and exciting experiences Cool Harmonies Community Choir enjoyed last year was hosting an UBUNTU ​masterclass. 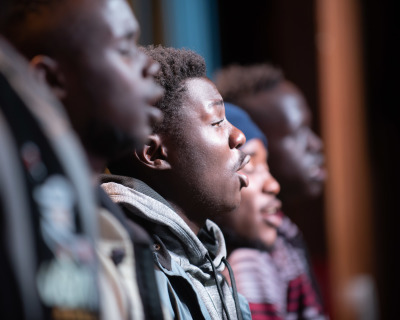 We had the unique opportunity of singing and dancing alongside these inspiring young Africans, who taught us how to bring their traditional harmonies and body movement alive with a wonderfully simple but engaging song from Nigeria. This is a joyous cross cultural exchange not to be missed and one I can guarantee your choir members will remember every time they share the song together. 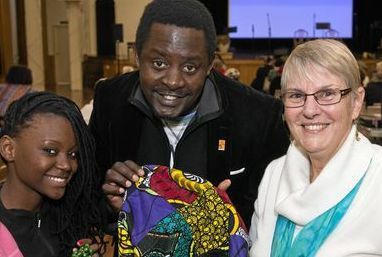 Jubila Singers experienced the delight of having Ubuntu give us a ​workshop on a memorable evening in 2018. 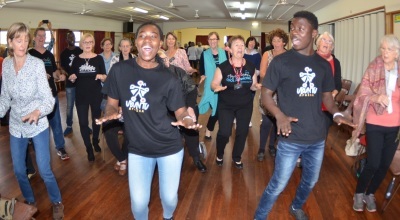 We are a 40+ voice choir which sings music in harmony from all over the world, so although we have African music in our repertoire, we found it inspiring to work with these talented singers and drummers to gain an understanding of the cultural home of these beautiful songs. We much appreciated the enthusiasm and sheer energy of the young singers from Ubuntu, and the professionalism of the organisation. We look very forward to their return in 2020.